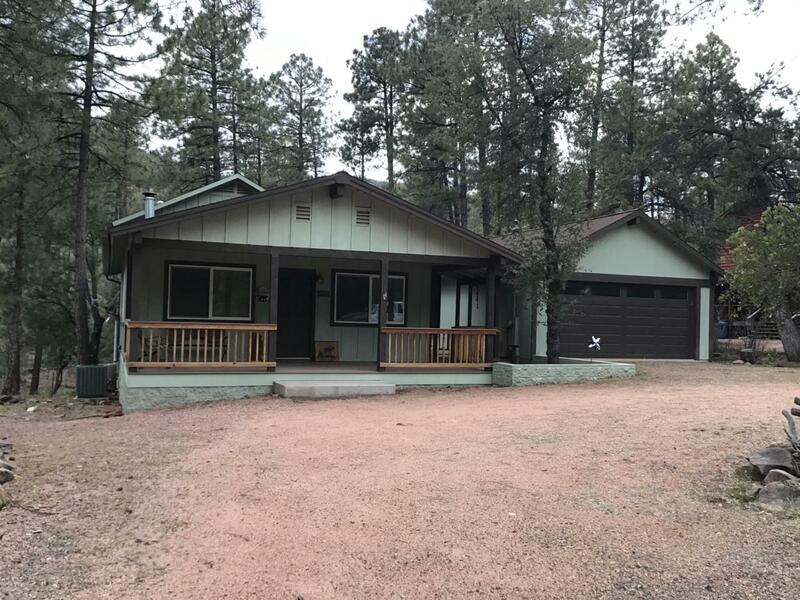 2 bedroom/2 bath with bunk room/walk-out basement sitting in the tall ponderosa pines with views of Strawberry Mountain in desirable Pine! 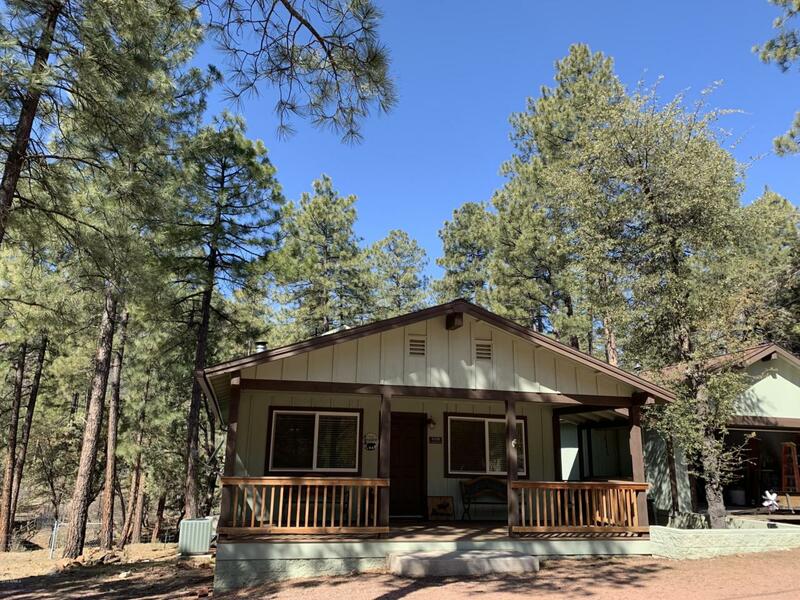 Ignore the year built as this great cabin in the woods is practically a new build with COMPLETE renovations and room additions (2014): with NEW roof (2011), electrical & plumbing, septic & leach pit (2009), kitchen (2008), HVAC/heat pump (2011) Pellet stove (2012)/Wood burning stove (2015) front porch & deck with trex (2015) rain gutters, new garage door & more! The oversized two car garage is tandem depth, giving you heaps of room for your toys! 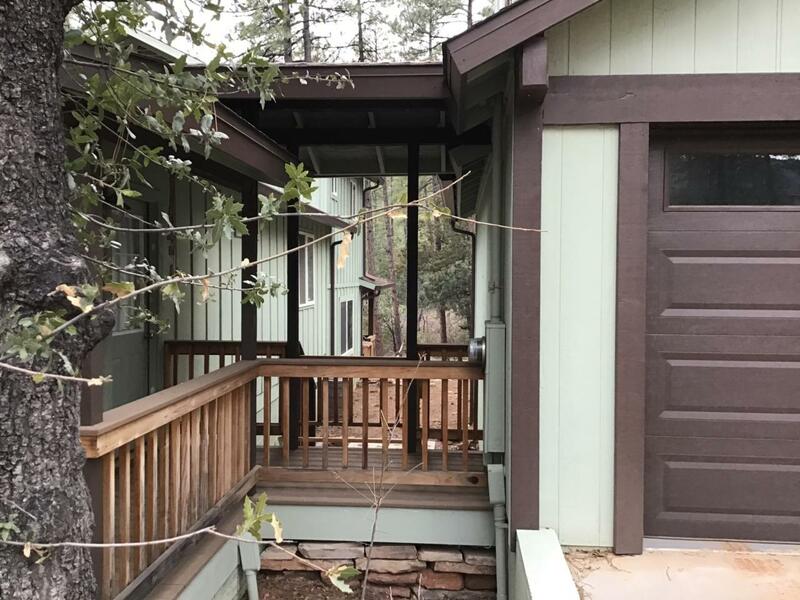 Comes completely furnished with it's thoughtful charming custom details! WOW! 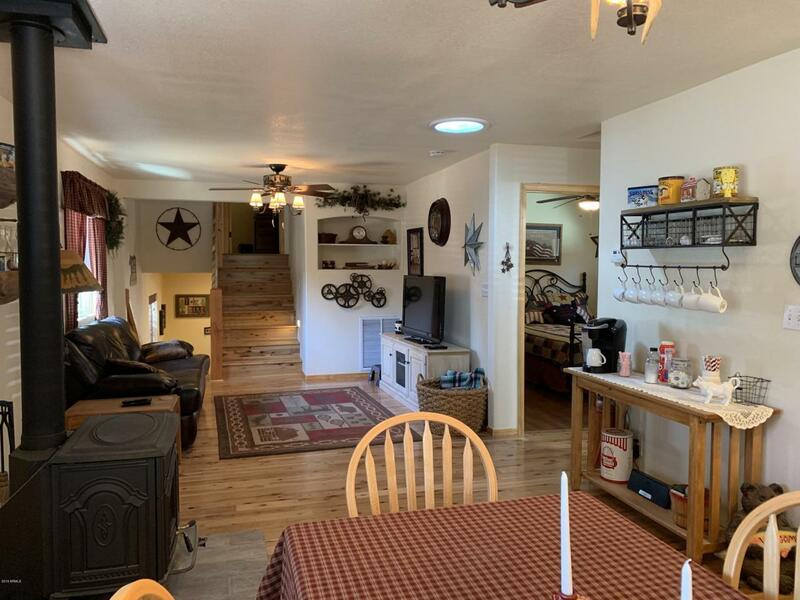 Ground level entry, front porch & back deck with large lot, storage shed on quiet tucked away street close to downtown Pine!